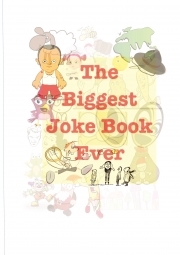 Description of "The Biggest Joke Book Ever"
An eclectic collection of humour from the internet, gathered over twenty years. They have been categorized and indexed for easy reference. Ideal material for speakers, trainers, toastmasters who want to pepper up their repertoire for any occasion. Or for everyone to just randomly flip pages and laugh away the day’s stress, forget your troubles and immerse yourself in humour. The jokes in this book have been collected by Rohit Agarwal over the past twenty years. Reviews of "The Biggest Joke Book Ever"